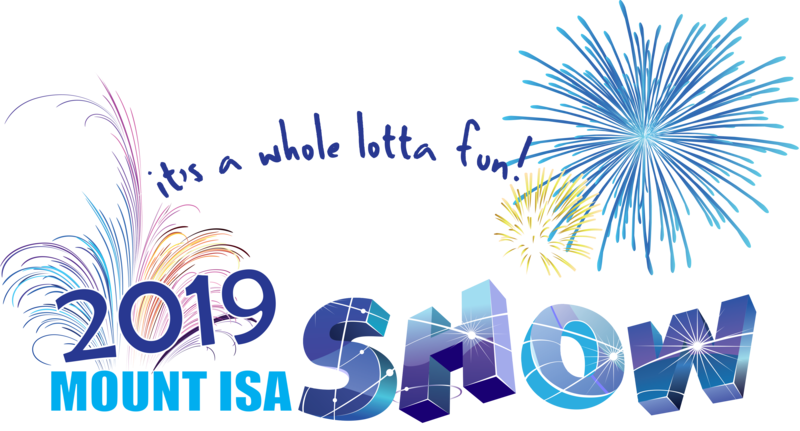 The Mount Isa Show Schedule for all Pavilion Entries, as well as Horse Events are available from this page. ALL ENTRIES MUST BE ON AN OFFICIAL ENTRY FORM. Separate Entry Form per person. Fully completed form to be accompanied by Entry Fees. Entry fee: $2.00 for all Classes unless otherwise stated. Download your copy of the Art Schedule SOON! Download your copy of the Photography Schedule Soon! Download your copy of the Cooking Schedule Soon! Download your copy of the Handicraft Schedule Soon! Download your copy of the Horticulture Schedule Soon! Download your copy of the Over 65 Years Schedule Soon! Download your copy of the Quilt Schedule Soon! Download your copy of the Tiny Tots Entry Form Soon! Download your copy of the Woodwork Schedule Soon! All Entries into the Show for the Pavilion must have the ID Sticker attached and delivered to designated part of the Xstrata Pavilion by the time and date specified in each section. (You will receive the stickers when you submit your entry forms. No exhibit will be accepted without a sticker.) We ask that you show patience when delivering your exhibits. The people taking your exhibit are giving their time so YOUR work can be displayed. Can be cash, Vouchers or Goods. See Section for Prize details. All entries in Art, Photography, Cookery Handicrafts, Horticulture, etc are to be collected from Buchanan Park on Sunday 24th June 2018 between 8am and 10am. Entrant’s ID will have to be produced to collect items. We ask that you have patience when collecting your entry and allow the Stewards time to collect your entry. All work not claimed will become the property of the Mount Isa Agricultural Show Society Inc. to be disposed of as they see fit. Pay out times: Friday and Saturday 9am till 6pm. All Prize money to be collected at the Pay Out Office at the Show BEFORE 6.00pm Saturday 23rd June 2018. Prize money not collected during the duration of the Show will NOT be paid out after the Show, irrespective of persons. All unclaimed prize monies will be forfeited to the Mount Isa Agricultural Show Society. Your receipt showing your Entrant ID number MUST be produced to collect prize money. Entries must be made on forms supplied by the Society. Photocopies of the form are accepted. It is essential for the smooth running of the show that entries for all sections be lodged as per the “How to Enter Sections”. Exhibits in all classes must be the bona fide property of the Exhibitor. All entries must have been completed in the past 12 months, unless otherwise stated in the class entry. Entries cannot be entered in more than one class. NO person will be allowed in the vicinity of the Judge during the judging, other than the Stewards and Attendants actually in charge of the Section. No person will be allowed to communicate with Judges other than through the Head Steward. No person shall act as a Judge except in classes in which he/she is not an exhibitor. Judges may withhold prizes and Championship honours if they think it warranted. The Committee reserves the right to withhold or modify any prize or prizes should there be three (3) or less individual competitors in any class or event. Prize ribbons and certificates shall be affixed to exhibits as soon as the Judges have made their awards. Every care will be taken of exhibits, but the Society will not be responsible for any losses, damages or accidents. Exhibits must be delivered to the Showground in the manner and times prescribed in the heading of each section and in the “How to Enter” Page. Non-compliance with this provision will result in non-acceptance of the exhibits and forfeiture of entry fees. Exhibits must be brought to, and removed from, the grounds by the exhibitor. Notwithstanding anything contained in the Rules and Conditions, the Committee may at their discretion alter any condition, cancel or substitute and/or alter any event or class in the Schedule if they consider it necessary to do so. Prize monies will be paid at the Show. Vouchers or goods unclaimed will revert to the Society. Any prize cheque unpresented after three (3) months will be cancelled and the money will revert to the Society. Any class where the exhibit winner is to be sent to the Royal Brisbane Show, the conditions of entry in that class is that the winner’s exhibit will be sent to the Brisbane or State competition. Judges or Stewards may transfer any exhibit or exhibits from one class to another. The right is reserved to reject any exhibit or exhibits which may be considered to be offensive or not of sufficient merit to be displayed. An exhibitor shall not enter a class or event if the Judge is a member of their family. The organisers reserve the right to have entries reproduced in the press, television or media without fee while on view to the public. The Society will not be responsible for any accident that may be caused through or by any exhibit and it shall be a condition of entry that each exhibitor shall hold the Society harmless and indemnified against any legal proceedings arising from such accidents. The Society will not, under any circumstances, hold itself liable for any accident on the grounds or premises. The entry form will be taken as a guarantee that the animals therein are free from all disease so far as it is known by the owner. In case of infectious disease being spread through, or by an exhibit, the exhibitor shall be held responsible. Precautions will be taken to guard against fire, and to protect the property at the Show, but exhibits will not be insured at the cost of the Society. THAT all disputes, objections and protests, shall be decided by the Committee of the Show Society, whose decision will be final. NO ENTRY WILL BE RECEIVED FROM ANY PERSON DISQUALIFED BY THE QUEENSLAND CHAMBER OF AGRICULTURAL SOCIETIES during the period of such disqualification. Should such an entry be accidentally accepted, it shall when discovered, be deemed void and the entry fee shall be forfeited.